Professor Alvin R. Dunton died this year  on Oct. 8, at the age of 79 years. 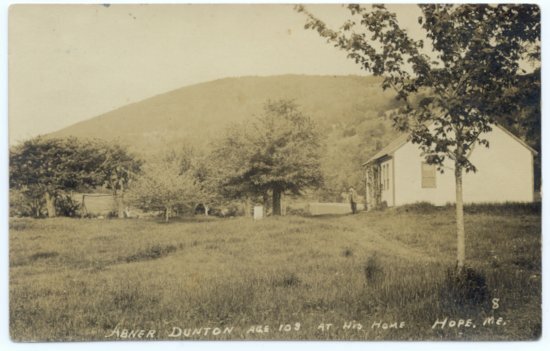 Professor Dunton was born in Hope, Maine, but lived in Camden many years. He was the son of Abner Dunton and grandson of Abner Dunton, one of the first settlers of the town of Lincolnville. His father was the second child born in that town. Professor Dunton was chiefly distinguished for his great skill as a pen artist. As a writer and teacher of penmanship he probably never has had a superior. He was the author of the Duntonian System of Penmanship, and his pen pictures prove that he was an artist of much ability. 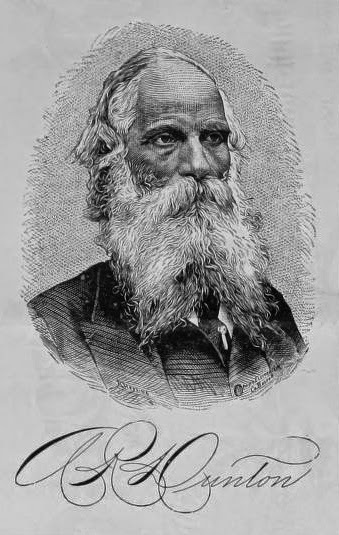 Professor Dunton traveled extensively and taught penmanship in nearly all the states in the union, and also traveled in Europe. He also acted as an expert on hand writing and for a long time had charge of the penmanship in the Boston schools. He was the author of "The True Story of the Hart-Meservey Murder Trial," a book of over 300 pages, in which he undertakes to prove that Nathan F. Hart was unjustly convicted of the murder of Sarah H. Meservey at Tenant’s Harbor in 1878. Professor Dunton was a man of strong and positive convictions and possessed nerve and determination to carry his convictions into execution. He was twice married. His first wife was Elizabeth Harris and his second wife Laura Pendleton. He had no children. Source: History of Camden and Rockport, Maine, Reuel Robinson, Camden publishing Company, 1907, pages 489-490. Tenth Letter of the Alphabet, "Lettering: Alvin R. Dunton, Master Penman"
The Flourish Forum, "A little Duntonian Anyone?"